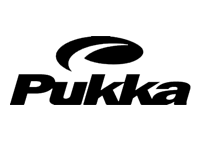 Advantage Baseball is an indoor baseball academy with a team of highly experienced baseball and softball instructors. 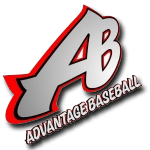 Advantage Baseball hosts a combination of camps, individual lessons and team training programs and conveniently located on the corner of Jackrabbit and West Road in Houston, Texas. Bring your entire team or come in for individual training. If you don’t see a plan that will accommodate your needs, please contact us. Advantage Baseball is equipped with seven (7) instructional cages and two (2) machine cages with Iron Mike pitching machines. The machine cages are set at speeds 45 mph and 55 mph and can be adjusted up to 80 mph with prior reservation from the Pro Shop or by calling us at (281) 550-2433. Use the following to sign up for events at Advantage Baseball. Advantage Baseball provides private instruction and team practice for baseball and softball. Advantage Baseball instructors have conducted hundreds of lessons for both male and female athletes and many of our staff have experience at the college levels up to professionals. Advantage Baseball provides private instruction for baseball and softball. First time walking into this facility since our move to Houston in 2011. I manage a youth baseball team and registered my son for their Spring Break camp. Every day I walk in to pick him up and the staff is very personable and passionate about baseball and our youth. I recommend coming by and at the very least see how they can offer their services to your child … you won’t be disappointed! Great Baseball Family environment….I recommend anyones kid to get lessons here and to play baseball for any of the Advantage teams. We cant wait to get this thing rolling for my son and his team and to bring the Speedburners Speed Program!!! Advantage baseball is in beast mode! Great facility, great environment, great coaches. Lots of cages for multifunction use and very clean facility. Nice lounge area w/ MLB Network 24/7…prices are fair…staff is great! Our mission here at Advantage Baseball is to balance knowledge and hard work to strive towards a complete individual as well as a complete player. At Advantage Baseball Academy, we believe in the development of young men both on and off the field. Through our unique and extensive experience, the AB staff is equipped and devoted to the personal, academic and athletic endeavors of each athlete to walk through our doors. We are committed to educating and preparing our pupils to become as successful as possible in every aspect of their lives, between the lines, and in the community.